Here’s what I struggled with after watching Captain America: Steve Rogers appeared to be too otherworldly. He is so good and self-sacrificing. He is so willing to lay down his life for others that he even appears to be self-centered to his friends. You’re thinking – is this guy for real? No one is this good! But then as I thought about it, I realized: that is much more an indictment on my own heart and our culture than the story. In truth, the goodness and manliness of the imperfect Rogers is what makes Captain America such a worthwhile film. Jonathan, the son of Saul (surprising, eh? ), is a man of courage and yet humility. He is brash and, with the help of his armor bearer, and decides to take on a whole Philistine garrison by himself – which leads to a great victory. He has such a faith and an almost unbelievable self-forgetfulness about him. He cares not that David would be king instead of him – he embraces David as a loyal and dear brother. He cares not for power. He sticks with his father even as Saul becomes more and more insane and given over to darkness. Jonathan is one of the most amazing people we learn about in the Old Testament. We named my son (middle name) after him because of all this. Jonathan is very real and very much lived. I’m sure he had struggles we don’t know about, but he was an amazing man. 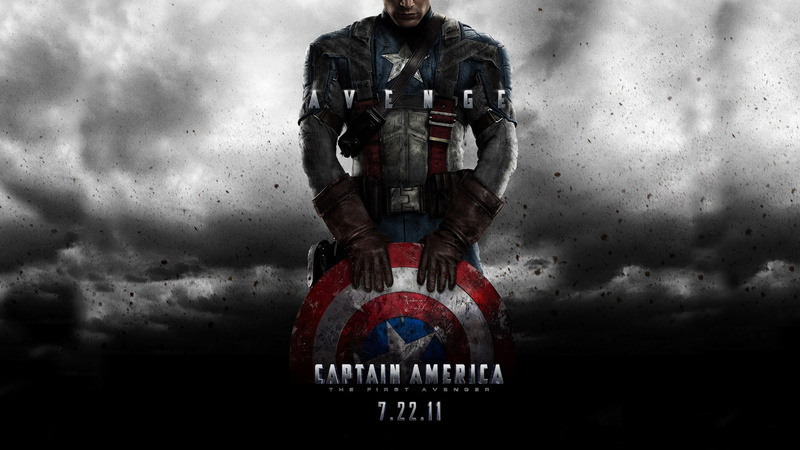 Steve Rogers, AKA Captain America, is Jonathan. He cares nothing for glory or for power. He cares for his friends. He hates evil and bullies. He counts himself expendable for the fight against evil and is ready and willing to lay down his life. It’s almost unbelievable but I think that’s because these traits tend to be lacking in our comfortable and safe American lifestyle. I love the humility of Steve Rogers. He’s so unaware of himself. He is extremely loyal. He can take a beating. He is sold out to a purpose higher than himself and everything is merely a bonus. You can’t help but root for Captain America even in a all the cheesy, but not cynical, patriotism. Captain America is very good film. Out of the films released this summer, it’s up there and it definitely came through on the hype. I appreciated the bittersweet ending, even knowing what was coming, because of the character of Steve Rogers. I wanted more of these characters and more of Steve Rogers. Be sure to wait until all the way past the credits before getting up out of your seat, you will be rewarded.